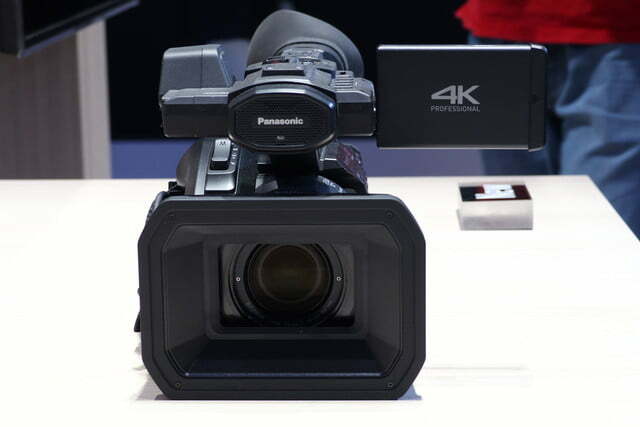 Panasonic Europe has unveiled the HC-X1, a brand new professional-level 4K camcorder. 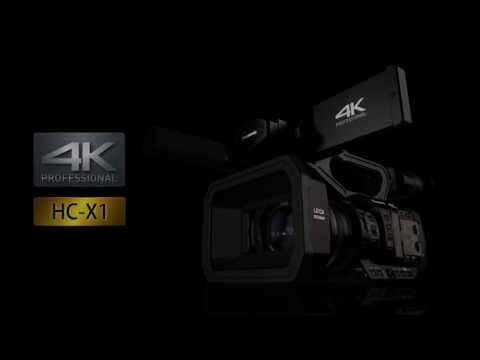 At the heart of the HC-X1 is a one-inch Live MOS sensor capable of recording 4K video up to 60 frames per second (fps), in multiple frequencies (59.94Hz, 50.00Hz or 24.00Hz) and filetypes (QuickTime MOV, MP4, and AVCHD) for easy workflow adjustments. 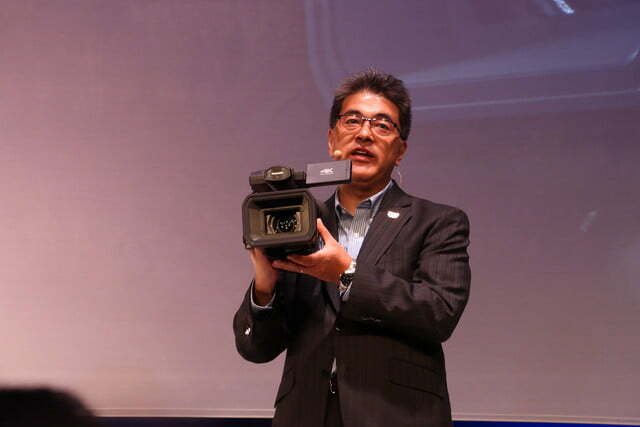 Panasonic claims this is the first time a 4K one-inch Live MOS sensor has been implemented into a camcorder with an integrated lens. 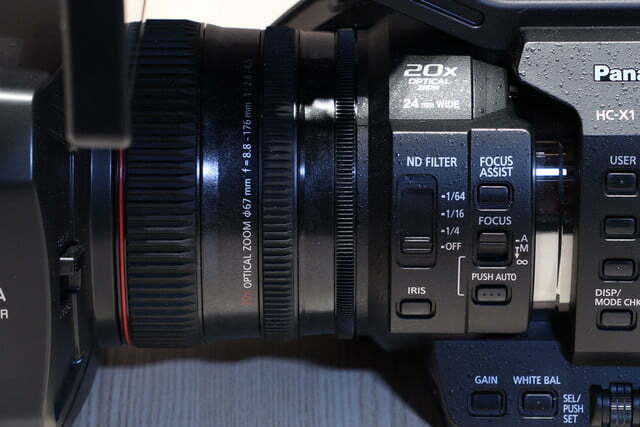 Speaking of lenses, at the front is a Leica Dicomar 24mm 24x zoom lens designed specifically for 4K sensors. 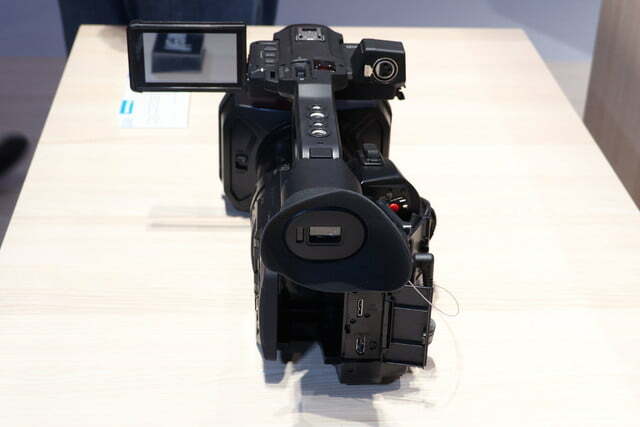 It features a 4-Drive Lens System, which independently controls all four of its lens groups to offer better quality across the entire zoom and focus range. If more precise control is required, the lens offers three rings for manual operation, including a ring for zoom, focus, and iris functions. These are aided by the impressive collection of focus control assists, including MF Assist, One-Push AF, Expand/Peak, Focus Transition, and Area Function. To prevent shaky footage, which should be especially noticeable in 4K, the Leica Dicomar has Optical Image Stabilizer technology. 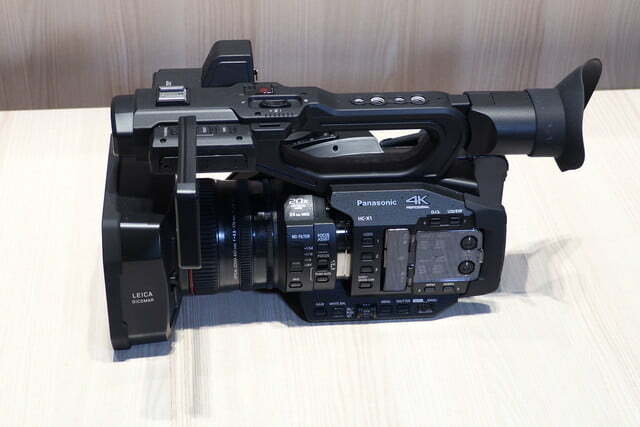 Panasonic claims the stabilization is 900-percent more effective than that offered in Panasonic’s AG-AC160 camcorder. Beyond the ability to record slow motion at up to 120 fps, one of the key features of the HC-X1 is its Variable Frame Rate (VFR) technology. This allows operators to adjust the frame rate at ten different steps between two and 60 fps, giving filmmakers more creative control over how the image looks straight out of camera. To compose and review footage, there is a 3.5-inch 1,769,000-dot OLED monitor that’s built into the handle of the camera. Once pulled out from the handle, it can tilt a full 270 degrees for easy viewing regardless of the angle of the camera. 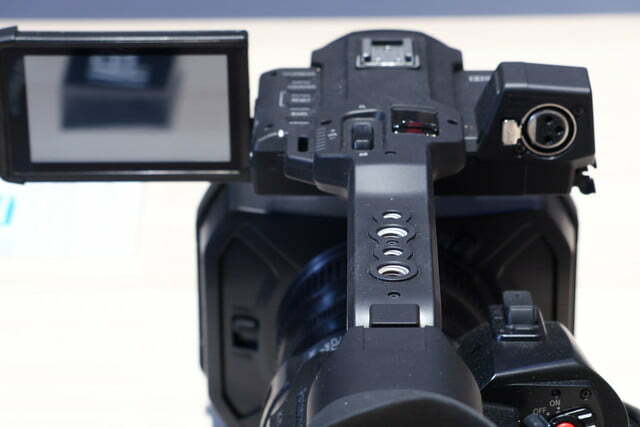 Camcorders are about more than just video though. 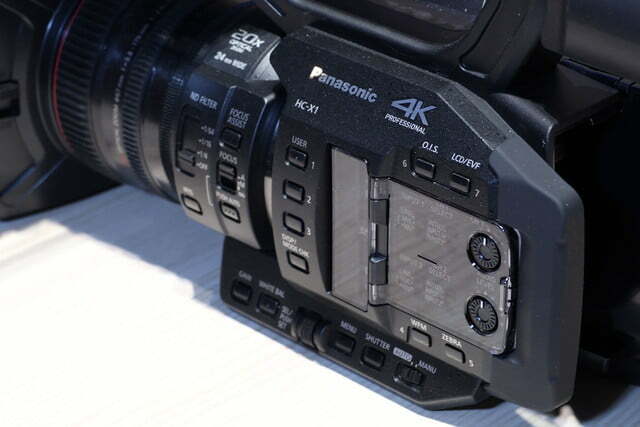 Panasonic has also implemented a generous amount of audio options, inducing two channels of XLR input, switchable +48V phantom power supply/MIC/LINE, and manual volume control. 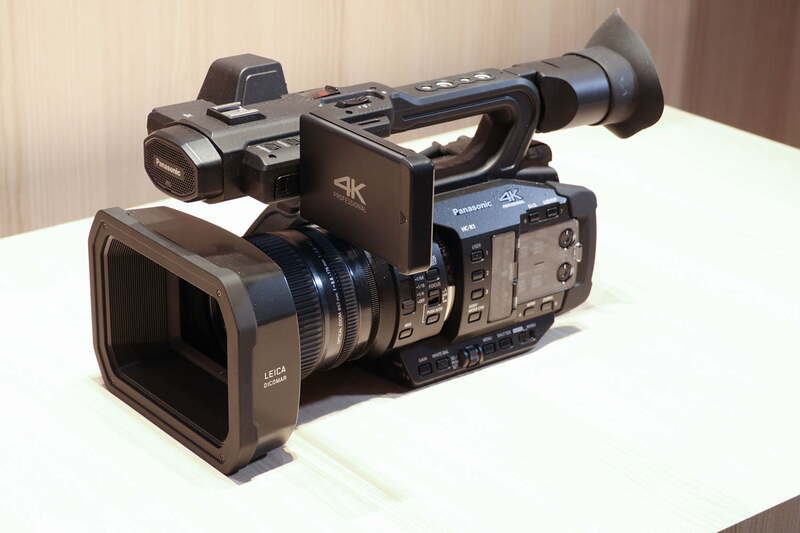 Depending on what video format is being used, the HC-X1 can record sound in two channels using either a 16-bit linear PCM system (MOV/MP4) or a Dolby Digital system (AVCHD). Storing content is done via two SD memory card slots, which can be set up to record separately or simultaneously for an immediate backup. No pricing information or release date has been mentioned for the time being. We will update this article when we receive U.S. details.